The inability to use English severely limits a person’s prospects in many areas of life. Imagine all the great stuff you’d miss out on: something as simple as googling an answer to a vapid question, at worse, and a pressing matter, at best. Forget writing that convoluted love letter to the cute host working at the Thai restaurant at National Harbor. Too specific? Anyhow, life would just be a little bit harder, don’t you think? So yes, English proficiency is an essential skill required to function in our modern world. Unfortunately, not everyone has the opportunity to learn and develop their English skills. Coming from Laos, growing up around the education business with my father owning and operating a few English and professional development centers for more than two decades, the subject of English and how it plays a role in our lives has always fascinated me. During my time in Laos, I saw first-hand the disparity between the prospects of non-English and English users. Those with a solid foundation in English have higher career and educational prospects than those with limited-to-no working knowledge of the English language. In the rural communities of Laos, access to quality English language training is sparse. More often than not, if a rural person desires to pursue English lessons, they must either travel great distances and/or pay a high fee to get these lessons. The majority of English institutions are clustered in the city; making it not only too expensive for rural people, but inaccessible, as well. There are several organizations working to address this issue, the list including the Education Development Fund Lao (EDF), Voluntour Laos, @MyLibrary, and many more. AHHA Education is one of them. AHHA Education is an NGO. Their core objective is to provide non-formal education and personal development programs to poor and underserved communities. Their non-traditional approach to education aims to provide: impoverished communities access to English training, professional and personal development courses, and instill a sense of responsibility for the well-being of society in the participants of their programs. Presently, AHHA operates in five countries: Cambodia, Timor Leste, Laos, India, and Thailand. In 2011, AHHA Education began its operations in Laos, establishing a community center in the capital city of Vientiane. Fast forward through many turbulent years and AHHA has moved its operations out of the crowded capital to set up a center in Phonehong, Vientiane Province, a small developing town an hour and a half outside the city. 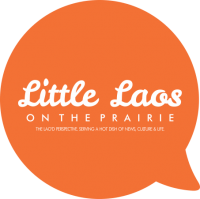 Coincidentally, this is also where Little Laos on the Prairie’s parent organization, the SEAD Project, happens to be based. In Phonehong, AHHA Education dispenses their indispensable humanitarian service through their Community Development Centers (CDC), running educational programs serving full-time and part-time students free of charge. After learning about this effort, I was immediately drawn to investigate. I sent the directors of the center an email asking if I could spend time at their facilities to learn about their work and they agreed to let me stay a few days. I packed my bag and hopped on a bus to Phonehong. At the Center, the students are separated into two groups: full-time and part-time students. The full-time students, comprising of 22 students, are made up of an equal representation of male and female students. They come from various backgrounds, provinces, and ethnicities. The majority of these students come from underprivileged backgrounds, are unable to afford the high tuition fees of post-secondary education, or are unable to continue with their higher education due to other, innumerable, reasons. They study under the guidance of volunteer teachers from Cambodia, who completed the same course the students are now undertaking. The second group are part-time students, made up of local Lao youths living in the vicinity of the Center, they number well over 600, surpassing the capacity of the school. The lessons are open to all age groups, free of charge. For full-time students, or boarders, the program lasts for 1.5 years and students are required to live at the center. Over the course of the program, they develop a variety of skill sets meant to prepare them for future employment and contribute to their personal development. They learn English, mathematics, ICT, accounting, management, and administration. Community service also plays an important role in the curriculum, with students taking part in weekly community service projects around the town. The boarders are also given the responsibility of conducting English lessons for the part-time students, allowing them to hone their teaching skills through hands-on experience. After completion of the full-time boarding program, exceptional individuals are given the opportunity to be sent abroad to volunteer and conduct the same program they themselves completed. If they choose not to continue with AHHA, the students are free to pursue careers in what field they desire. Having completed their training, the graduates will be equipped with skill sets desirable to potential employers. These skills include proficiency in English communication, computer literacy, and leadership skills. During my short time at the center, what I saw blew me away. The English proficiency of these students were well beyond what I expected. They are able to hold conversations and speak with a confidence unseen from the majority of English learners in the city. The most surprising thing was, after only six months into the program, they were using English better than those I knew who spent decades learning it. There was an earnest desire in them to improve themselves, so they stayed attentive and focused on their intensive course. For young people coming from underprivileged backgrounds such as these students, an opportunity to partake in AHHA’s program is life-changing. Their future prospects are enhanced with the skills they gain. Doors of opportunities they wouldn’t have had are also opened to them after graduating from the program. Now, more than ever, with Laos moving closer to being more inclusive to the globalizing world, the development of its workforce should be high on its list of priorities. 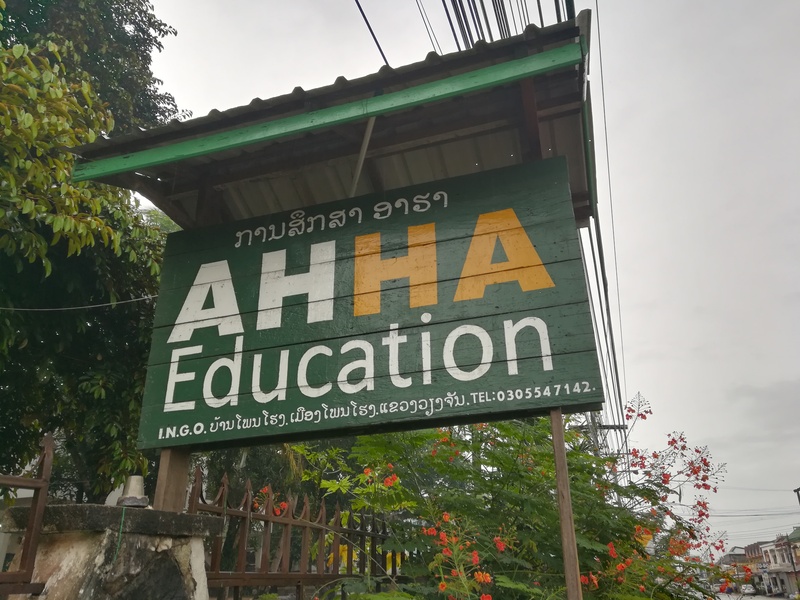 While AHHA Education is making leaps in progress and looking to expand its operations; like other NGO’s, are hindered due to setbacks such as funding and navigating through the complex and confusing regulations of the Lao government. Nevertheless, the future looks bright for AHHA Education. Seeing for myself the impact their work has on the lives of my fellow young Laotians, I am reminded that behind all the negativity taking center stage, progress towards good is continuously being made. From a tiny English center with such limited funding that; classrooms have no walls, tables are makeshift, and blackboards aren’t really blackboards, lives are being changed. By working to improve themselves, the boarders are also providing a great service to their community with the invaluable English lessons they are providing to the hundreds of students under their care. The Center, utilizing a circular method, manage to be both effective and efficient. Unequal access to opportunities is the cause of social inequality between people. Seeing with my eyes the dedication and determination displayed by the students of AHHA, shows that given the smallest of chances, anyone can rise above their setbacks. Now that they are given the tools, they can fully realize their potential and contribute back to their communities. Something I had to keep reminding myself about was…these guys were the lucky ones. Looking at the extremely outdated computers, the schools with no rooms, the less than stellar clothing…it didn’t matter. These guys were the lucky ones. They have this access because they are in a city that is fairly close to the capital city, to begin with. Most areas of the country are still even lacking real schools, let alone the opportunity to learn English. For me, the answer is obvious. How about you? Previous PostThe SEAD Project: Spring Language Courses Open for Registration!